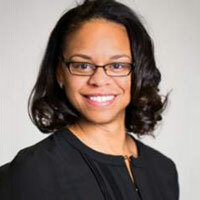 Ipyana Spencer is responsible for identifying, coordinating and managing relationships with external strategic partners around UHG priority issues and key constituencies. She has previously worked as Federal Government Relations Consultant at Peck, Madigan, Jones and Stewart, Inc.; Director of Appropriations, The Office of U.S. Senator Charles Schumer; Deputy Finance Director, New American Optimists Political Action Committee; Legislative Assistant, Representative Nita Lowey (D-NY).